For survivors of intimate partner violence (IPV), the traumatic stress may be cumulative with varied emotional and mental health impacts. Adopting a trauma-informed approach when working with survivors of IPV means ensuring that all survivors have access to services in an environment that is inclusive, welcoming, de-stigmatizing, and non-re-traumatizing. 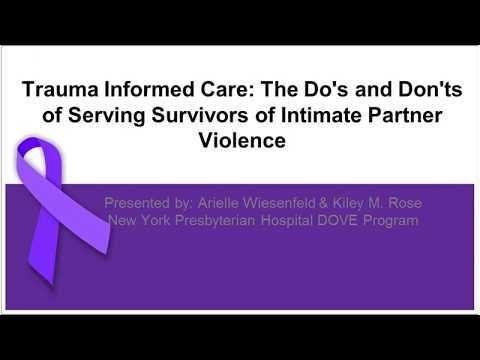 This webinar introduced the pillar elements to successful trauma treatment with survivors of intimate partner violence (IPV) and provided strategies for assessment and intervention. Trauma- informed practices were defined and clinician biases explored.